What Makes a Good Pediatrician? Absolutely nothing is more important than your child’s health. When looking for a pediatrician, you want the best. But what makes a good pediatrician? Is it simply being a knowledgeable physician, or is there something more? While there is no single, magic ingredient that makes an excellent pediatrician, there are certain attributes you need to look for. Pediatrics is a popular specialty and, in most locations, you’ll have a choice of pediatric medical providers. Read below to find the features to look for in your child’s pediatrician. Although it’s not the end-all and be-all, expert medical knowledge is still essential for any physician, especially in pediatricians. 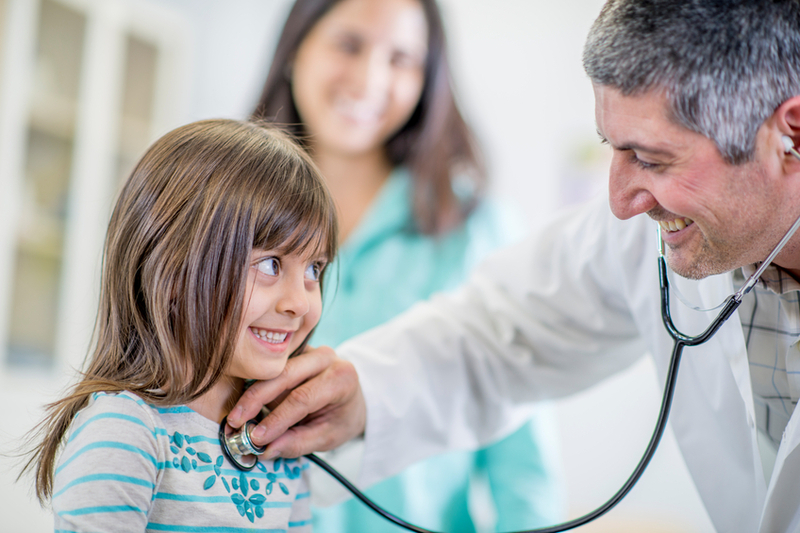 Your Lone Tree pediatrician should be knowledgeable concerning childhood illnesses, growth and development, treatment of injuries, and children’s mental health. One way to determine knowledge level is through experience. While there’s nothing wrong with young pediatricians, experience can only come through years of practice. Another good sign of expert knowledge is board certification. The board exams are a rigorous process, and pediatricians with board certification are undoubtedly experts. Finally, a competent pediatrician must stay up to date. Medications and medical technology change every day. There are also constantly new diseases, conditions, and threats that can affect young patients. Knowledgeable pediatricians must not let themselves fall behind. They avoid this by attending conferences, reviewing literature, taking continuing education courses, and consulting with specialist colleagues. This may seem to go without saying, but a pediatrician should be good with kids. Your child is not an adult and shouldn’t be treated like one. Conversely, if you have a teenager, they’ll probably appreciate a more grown-up approach from their pediatrician. Whoever you choose for your child’s pediatrician, they should be able to relate to and communicate with their patients, no matter the age. A prime attribute of a good pediatrician or any medical provider is compassion. They should be able to show sympathy for a patient’s pain or suffering. An excellent pediatrician will treat your child as if they were their own, with kindness and caring. Of course, anyone who works with kids should have patience and understanding. They should realize that children are not adults and cannot be expected to act with maturity and look out for their own self-interest. Moreover, a good pediatrician will also show patience with you as a parent. They’ll make time to answer your questions and explain procedures, issues, and instructions to you. They shouldn’t make you feel rushed during an office visit or stupid for asking questions. Medicine is far from an easy career, and working with children is never simple. Pediatric medical providers have to be committed and dedicated, not only to the practice of medicine but also to their patients. This includes many of the above attributes, such as taking the time to listen to their young patients and answer questions from the parents. It also involves staying up to date on current health threats, medications, and the latest literature.